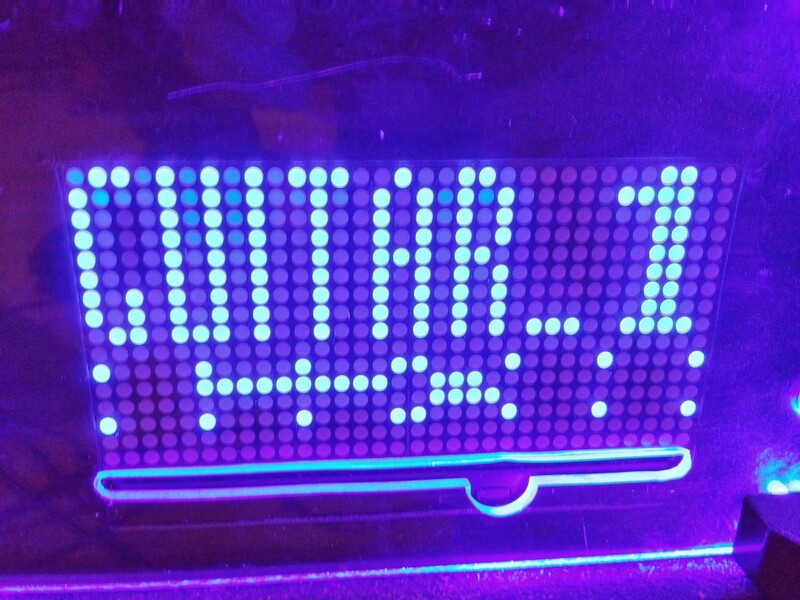 This script drives a USB 32×16 led display. Motivation was to use the matrix (initially bought for a planned but never built HTPC) to display the Rakarrack Preset name, some CPU, RAM, process and VU details. Rakarrack doesn’t yet have a way to export the Preset name to an external process, though I found a feature request for this had already been filed. For now my script monitors a file and shows the first line, the characters that fit as I didn’t want it to scroll. Additionally if the VU meters haven’t read any signal for a while the screen will start scrolling “Lin-Amp” until input is detected. The script is started using an upstart script and if I recall correctly I’ve set Qjackctl to check if the script is running using a jack-start script. Feel free to highlight any coding errors I may have made, I would love this script to take up less CPU than it currently does. Although I don’t think it’s too bad at the moment. Some more background information can be found in this post.